Our product range includes a wide range of air operated diaphragm pump and air operated double diaphragm pump. 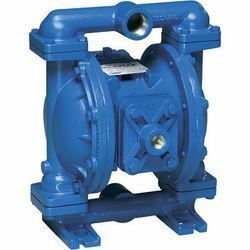 Backed by rich expertise in this domain, we have been capable of manufacturing, exporting and supplying of a quality assured range of Air Operated Diaphragm Pump. The provided pumps are manufactured by our adroit professionals using quality tested components and innovative technology in accordance with set industry standards. To ensure their flawlessness, these pumps are rigorously examined against numerous quality parameters. 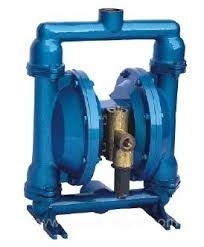 Moreover, clients can avail these pumps from us at reasonable prices. Head : Up to 70 Mtr. Air Inlet Size : 1/4" to 1/2"
Looking for AIR OPERATED DIAPHRAGM PUMP ?